By the grace of ALLAH (s.w.t.) we now have a graveyard of our own, where we are able to bury our deceased Muslim Brothers and Sisters according to the Sunnah of our Prophet Muhammad (s.a.w.) as outlined in the Islamic Shariah. 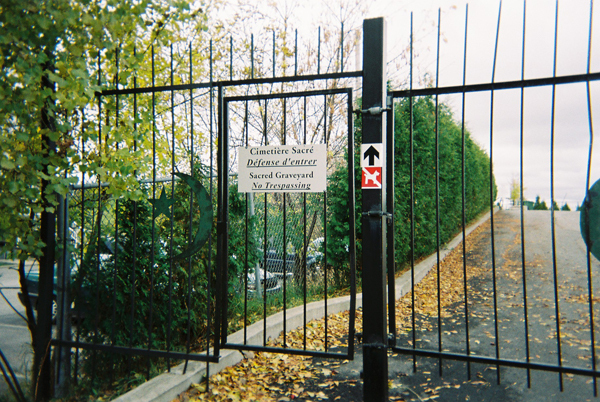 This Cemetery is located in a quiet countryside environment in Laval East at 1099 Montee Masson, St. Vincent de Paul. 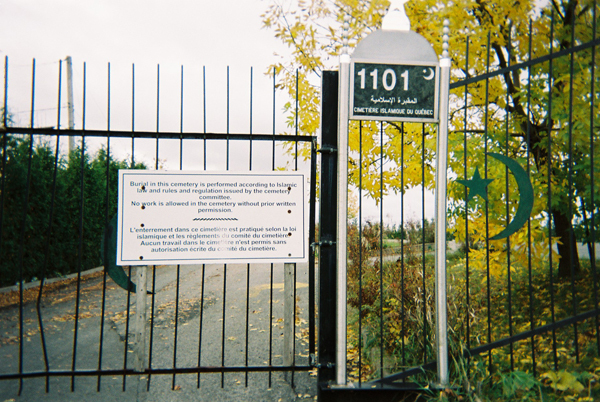 This is the first and only one on a large scale fully equipped graveyard in Canada where Muslims are buried. 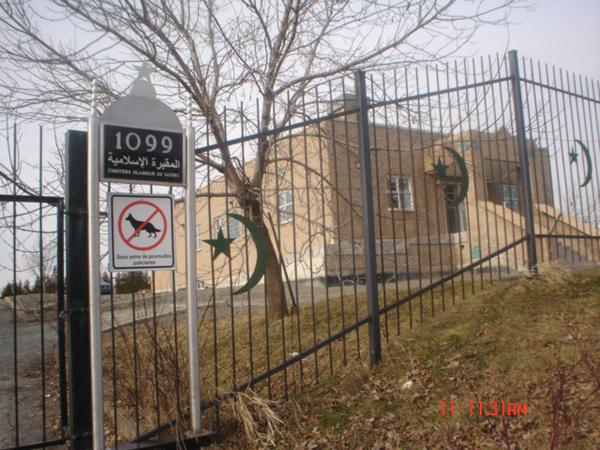 This Cemetery is maintained by the ISLAMIC CENTER OF QUEBEC. The body of a deceased Muslim is picked up from the Hospital, Home or Coroner’s Morgue to I.C.Q. Volunteers give Ghusl (bathing) to the Deceased. Kafan Cloth is made from white fabric and prepared according to the Sunnah. A simple but Sturdy Casket (wooden box) is provided. Salat ul Janazah is arranged at the I.C.Q. The body is transported from the Islamic Center to the Islamic Cemetery. Grave is dug and the Burial takes place according to the Islamic Shariah. The Grave is marked by a temporary marker, which is replaced a permanent marker later. The Family is informed about the time for Ghusl, necessary documents needed, time of Janazah prayer and funeral procession from I.C.Q. to the Cemetery. When your kith & Kin is very sick and seems to be near death, the persons attending the patient should recite the Kalimah “ LA ILAHA ILLALLAHU, MUHAMMAD-UR-RASULULLAH ” in low voice to induce the recitation of the dying person. After death has occurred, make the deceased person lay flat on his back so that Qiblah is on his/her right side. Straighten the legs and arms and close the eyes and the mouth. Request the attending Doctor and Hospital staff (or even better make a written request) that only Female personnel must do the cleaning of the body of the deceased female and the male personnel should clean the body of the deceased male. Provide a sheet of cloth with a note in writing asking the staff in charge that the body of the deceased person must be covered or wrapped in the given sheet of cloth before placing the body in the plastic sheet for transport to I.C.Q. In the Hospital, often Doctors want to perform an Autopsy for researched or other purposes. Autopsies are generally not required and the family has the right to refuse an autopsy unless required the Law. If an autopsy is definitely required in certain special cases, please ensure before signing the authorization papers that all parts of the deceased body be put back in all cuts be stitched properly. All of us should visit graves, because they will remind us of the reality of death. We urge you that a responsible person from the family or a friend should call our office and ask for the Cemetery manager as soon as possible after the death have occurred. He will advise you of procedures and timing as well as expenses involved. He will let you know what documents to provide and when you have to come to I.C.Q. for Ghusl on the day of Janazah and Burial. He will also inform you what documents must be ready at the Hospital admission office before the body can be released. Most of the Funeral and Burial Services are provided free of charge. At other Funeral Homes, the cost is moderately estimated to be $ 4,000 to $ 6,000 per person. At I.C.Q., the cost of Kafan, Casket and transportation of the body, land digging of grave and its closing etc is $3,000. We request you to donate generously, if you can for the provision of services, maintenance and Expansion. When Islamic Center of Quebec receives a call about a death, the volunteers at I.C.Q. do their best not to refuse a burial as soon as possible. We do our best not to refuse a burial of a Muslim for any. It is our collective obligation to the deceased to provide a respectful service, funeral arrangements and graves etc. As required by the Shariah, the deceased body is treated and handled with care and respect. 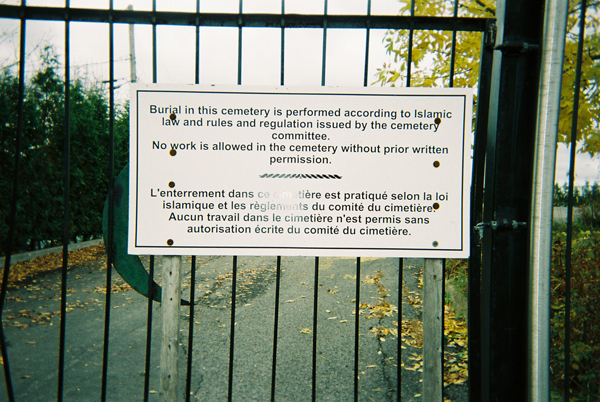 At the time of sorrow and shock you can count on the Islamic Cemetery of Quebec for any assistance. For adults prepaid plots ($500.00) the additional cost is $2,800.00. *Charges may change without notice.